You count the individual windowpanes in every window. 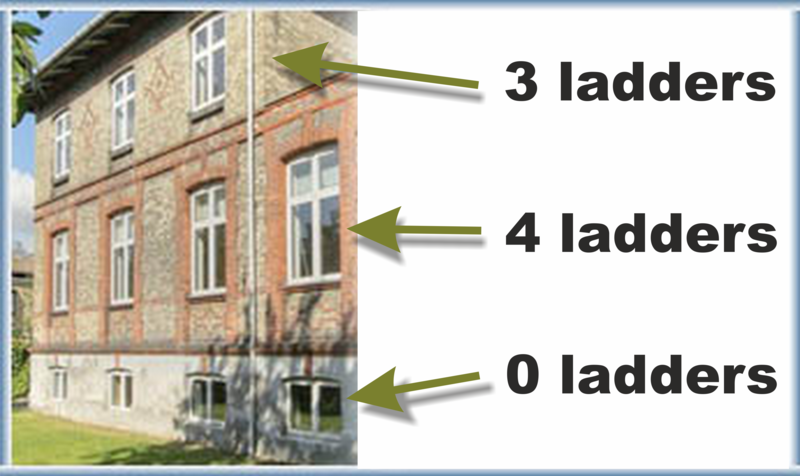 By clicking here you can see our guide to counting your windowpanes. How do I know how many and which ladders, that should be used when cleaning my windows?? The type of ladder that you should use, depends on how many stories your house has. You can see an example of how many ladders to use here. How often do you clean my windows? We visit all areas once pr. 4 weeks, but it is optional, wheither you want them cleaned every 4, 8 or 12 weeks. What do you do, if there are obstacles in front of my windows? We dont clean windows, that are blocked. If there are big plants, bicycles, lawnchairs, tables or the like, we see this window as being blocked. Our personel are instructed not to move items, blocking a window. Do you clean my windows if it rains? We clean windows in all types of weather. Blizzards or tropical storm with high windspeeds being the possible exceptions. What does it cost to clean my windows? From the outside only we clean up to your 2. floor windows, but if your windows can be reversed, we can clean any story you want from the inside. We do not clean the inside of the windows, if we dont at the same clean the outside. If you want inside window cleaning, it is important that you have a cellphone, where you can be reached from 7.00 am to 4.00 pm. What do I do, if I want to change something in my agreement? 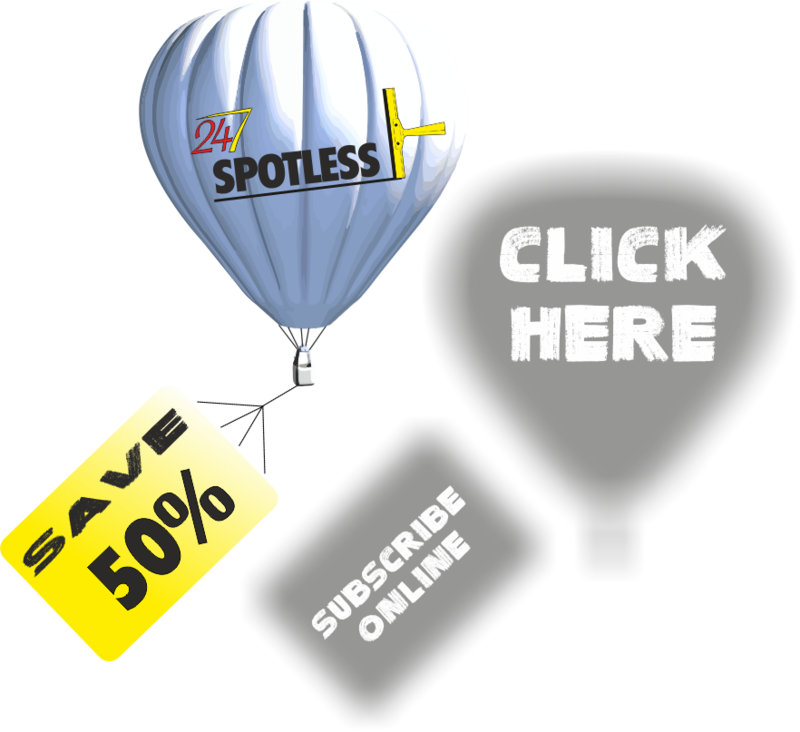 Send us an email at spotless@spotless247.com or call us at (408) 538­5307. Please call in any changes at the latest 14 days before we visit you next time, so we can make the proper arrangements in time. 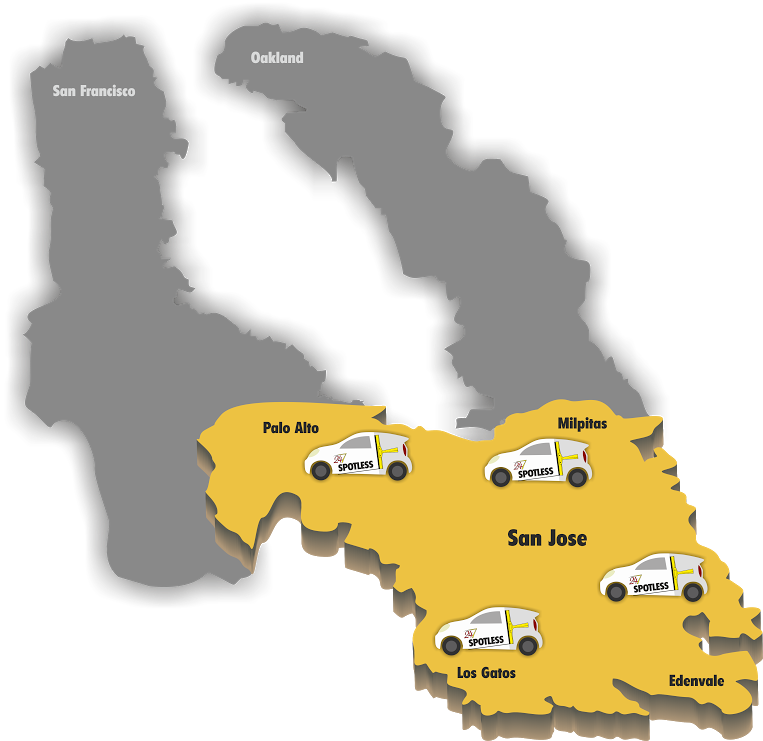 Spotless 24­-7 LLC performs window cleaning in San Jose primarily, but our area expands all the time, so keep checking back to see, if our servicearea is extended to include where you live. Click here to see prices for different types of houses with different kinds of windows. As a local Bay Area service provider Spotless 24-7 LLC provides subscription-based window cleaning services every 4, 8 or 12 weeks. We do our very best to service everybody, but before we actively enter an area, we cannot offer our services in that area.